Alcohol continues to affect you after it has left your bloodstream. 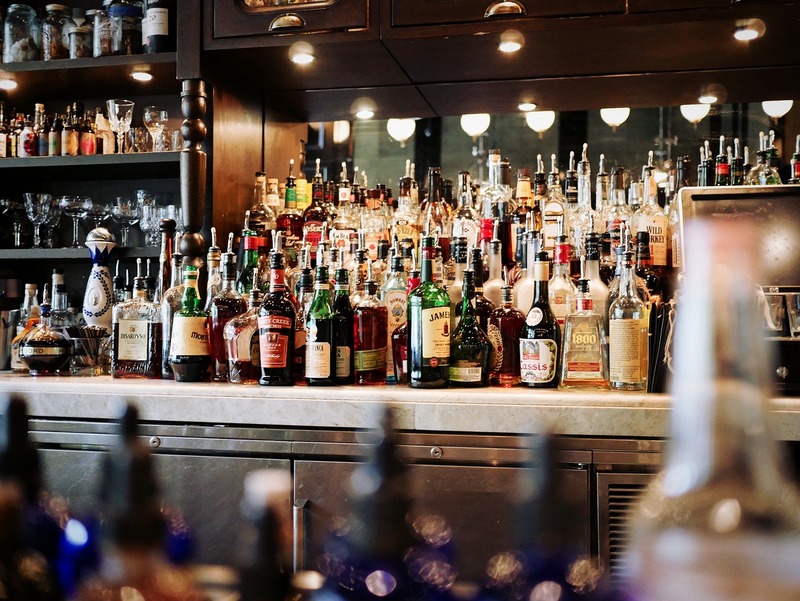 Researchers are finding that the effects of alcohol are not limited to what we see or experience while the alcohol is present in the bloodstream. Those effects continue long after the liver has removed the alcohol from the bloodstream. Here are some of the things researchers are reporting about the effects alcohol leaves behind after it has done its work. One of these lingering effects increases the risk that alcoholics or those with an alcohol use disorder will drink again. 1. Hangovers impair your driving skills. One study measured attention, coordination, and vigilance in college students the night after they had consumed enough alcohol to become legally intoxicated. Students were tested one day and then again the next. Some students were instructed to not drink alcohol overnight, others were allowed to drink to intoxication. The following week the groups switched. This allowed comparison of how students did on the various tests after a night of drinking or no drinking. This study was done in the college dorm to avoid increasing the number of drunk people out on the roads. I did not do this research, just reporting what I read. Students who had drunk to intoxication, that would be enough alcohol to reach a point one zero blood alcohol content (.10), were just as impaired the next morning when their blood alcohol content had returned to zero as they had been the night before. You are just as impaired with a hangover as when you are legally drunk! Actually, many of the subjects in this experiment were in worse shape with a hangover than when they were legally drunk. Memory, attention, motor coordination even the ability to plan were all significantly affected. The purpose of the blood-brain barrier is to keep things out of the head that does not belong there. It also has to let things in that the brain needs. This functioning as the brains border patrol is hard work for that blood-brain barrier. When that Blood Brain Barrier is under attack, under the influence of alcohol, it has trouble doing its job. One thing that gets kept out of the brain when you have alcohol in your system is glucose. Your brain may only be 2% of your body but it uses 20% of the energy, so a shortage of fuel develops quickly while all those alien Alcohol molecules are storming the brains border. This is why so many hangover remedies include sweet ingredients. Without energy, the brain can’t work efficiently. 3. Impaired coordination lasts a long time. At some point, and that precise level is still debatable, high levels of alcohol in the bloodstream alter or damage the part of the brain that controls coordination. Evidence of this comes from several sources. Chronic alcoholics exhibit unsteady gates even when they have undergone detox and their blood alcohol levels are at zero. Children born with fetal alcohol syndrome, the most severe form of damage to a child as a result of the mother’s alcohol consumption, exhibit a particular form of uncoordination. When moving their arms they move them much more rapidly when close to the body than when farther away. There is also a decided jerkiness to their arm movements. All of this points to Alcohol causing an impairment in the brain’s ability to regulate motion long after there has been any physical presence of alcohol. This impairment in coordination lasts into adulthood. 4. Alcohol shrinks the brains size and volume. The prefrontal lobes of the brain shrink about 11% in those who have abused alcohol over some period of time. Other parts of the brain shrink also, resulting in an expansion of those blood-filled spaces called Lateral Ventricles by as much as 42%. I have not found a source that quantifies this as to how much alcohol over how long a time this takes to happen. What has been established, at least tentatively, is how much of the damage to the brain can be repaired. The size of the lateral ventricles seems to shrink with sustained abstinence. The ventricles shrink and the surrounding brain tissue expands and or grows back a little but not all the way. The damage to the prefrontal lobes does not seem to be repaired. This results in many people in alcohol recovery having impaired executive functions. They need to learn or relearn planning, scheduling, and decision-making skills. Combine the changes in the brain with the loss of coordination and the result is 33% to 50% of all those with an alcohol use disorder will have cognitive or motor disorders in addition to difficulty controlling their consumption of alcohol. 5. Alcohol lowers inhibitions long after it has exited the body. Most of us know that alcohol lowers inhibitions and allows people to do and say things that they would not otherwise do. What has been discovered recently is that a pattern of recent heavy drinking increases that disinhibited behavior. The result is that drinking heavily even if only for a while increases the risk of your making poor decisions even during times when you are not drinking. One researcher observed that this residual loss of control is one more reason that people with alcohol use disorders are at high risk of drinking again even when they are trying to stay sober. The brain really has rewired itself and the part of the brain that says “do not do that” is off-line for an extended period of time after a recent episode of heavy drinking. There are other long-term consequences of drinking alcohol but let’s leave that for a future post. This entry was posted in Alcoholism and tagged Alcohol use disorder, Alcoholism, blood brain barrier, delayed alcohol effects, Hangovers, heavy drinking, Licensed Therapist & Licensed Counselor by David Joel Miller. Bookmark the permalink.